Related Important Tips To Read If You Start A Data Recovery Business? Are you looking around to start a data recovery business? Congratulation!! You have come to the right place while nowhere else offer such kind of professional data recovery consultation services for free! All those who want to start a data recovery business can enjoy our free premium-like data recovery consultation services for free only if you select us as your representative to get the necessary tools and solutions for you. Actually those manufacturers paid for you to us in a commission format. The most important is that you get the same price as you purchase those data recovery tools, training courses and other solutions directly from the manufacturers. We guarantee you pay nothing extra, you save a lot of time and money and avoid to buy cracked tools and solutions. We are data recovery engineers of over 10 years experience in data recovery field and we know what to select and what to bypass. When you are starting a data recovery business, there’re many potential or hidden risks you may encounter and if you don’t learn to know them, you will fail before you really start a data recovery business and lose a lot of money. So what are the risks when you are to start a data recovery business? 1, You may think to start a data recovery business is an easy thing or a difficult thing or just so-so. To start a data recovery business is not difficult for those who are well prepared. You have the data recovery knowledge to start, you understand the pc crash causes, you know different data storage devices, you have a budget to join some really helpful advanced data recovery training courses. 2, Many data recovery tools or solution suppliers are self-claimed data recovery experts and producing the best data recovery tools while they are actually producing cracked tools and offering cracked solutions. Are you selecting one of them? If you are new to data recovery field and want to start a data recovery business, it can be very easy for you to be cheated by commercials and advertisements and when you head is filled with them, you are then held captive and starting to trust but finally you are disappointed and leave with your money and time into the sea. 3, When you are starting a data recovery business, you might think one or two data recovery tools can handle all cases for you or you may tell me you have found one universal or so-called all-in-one data recovery hardware tool. I am sorry to disappoint you there’s no such a one-for-all data recovery tool or solution or platform. Wow, so many ‘shocking’ words we have found from those advertisements of the tools. Actually remember most advertisements have only 10-30% truths included. Let’s share one secret: No data recovery tool or solution provider in the market are offering all the best data recovery tools and solutions in one stop, we need to tell the good from bad, tell the working from the cracked. 4, Once you have good data recovery tools, you can start a data recovery business in a big success. Sorry, this is wrong again. 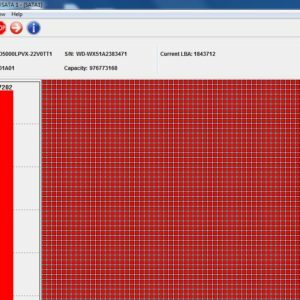 To succeed in data recovery business, you need not only good data recovery tools and solutions, you need also on-going upgrades of the tools, on-going technique support from your suppliers and the most important is that you have good data recovery resources. Do you cook with only fire and a pan? Do you eat with only knife and fork? No never! In data recovery business, you need donor hard drives, donor PCB, donor firmware resources, donor heads, donor controllers, etc. So that you can repair and recover with these indispensable data recovery components especially when you are dealing with the stage 2 and stage 3 data recovery cases. 5, I will achieve a big success in data recovery once I learn and follow all above instructions. No, business is a word of mouth and a smart plan! Are you able to market your services and market it correctly? Are you sure you are able to deal the cases and satisfy most of your clients? You work alone or you need to combine with a stronger party? I think these questions already answer you well. Well, we have shared many live cases and real experience both when our friend companies and we started a data recovery business and we believe, you will get something out of it. 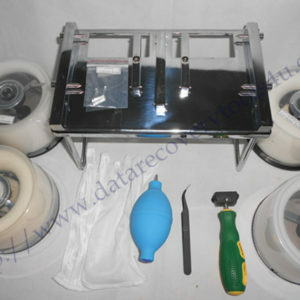 Please feel free to contact us by sales@dolphindatalab.com or Add Dolphin official Skype ID: dolphin.data.lab if you want to learn further about data recovery field or you need a higher level of data recovery consultation services or you can ask for a free quote of data recovery tools or training courses or other data recovery products. We sell only the working and cost-effective ones we are using.